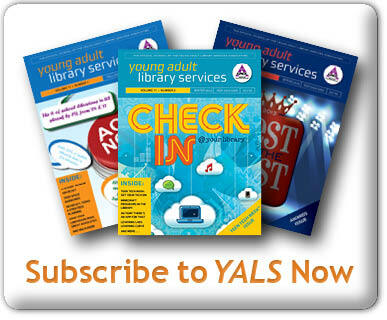 By admin October 31, 2018 December 6, 2018 YALSA Info. 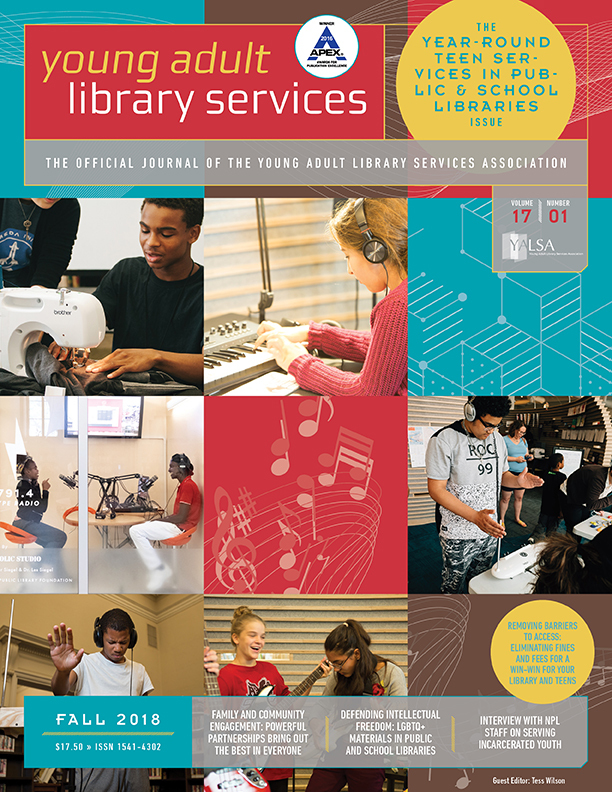 YALSA is seeking an experienced editor for an upcoming publication based on its Teen Services Competencies for Library Staff guideline. The tentative publication deadline is September 2019. The editor will be given a one-time stipend to compile, edit, and write content as needed and work with a group of contributors to produce a cohesive publication. Applications are due December 1, 2018. December 15, 2018. 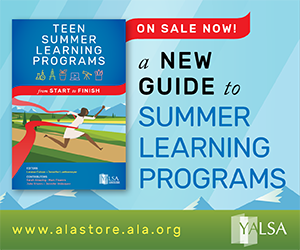 In public libraries, everyone needs the skills and knowledge to serve teens. According to a recent report from IMLS, nearly 7,000 of the nation’s 17,000+ public libraries have a staff of only 1.5 full time employee. Most libraries do not have the luxury of having a dedicated, full time staff person who focuses solely on serving teens. 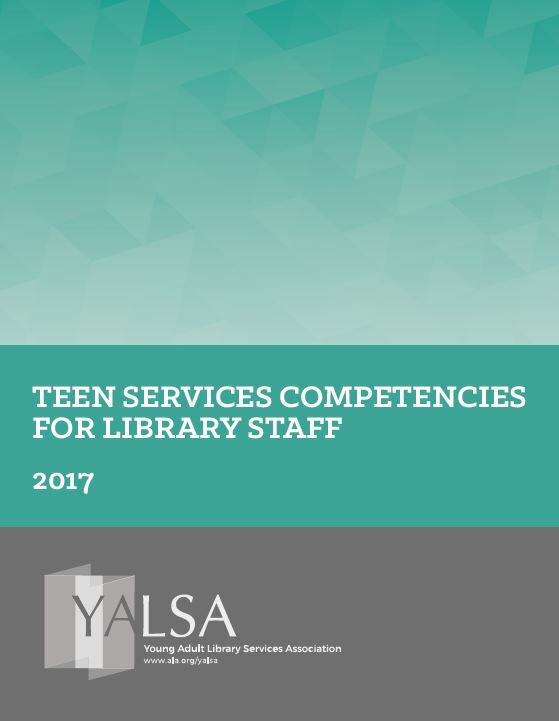 In 2017, YALSA published an update to its competencies document, “Teen Services Competencies for Library Staff.” These competencies are meant to help libraries of all sizes and capacities provide quality library service in collaboration with teens. Merely having a list of competencies, however, is not enough. Library staff and their supervisors and administrators need help in knowing how to embed the competencies in the work of library staff and how to measure their success in achieving them. This book will examine each of the ten competencies and provide practical examples, suggestions, and resources aimed at front line library staff. The rationale behind the competencies will be addressed as well, to demonstrate how each one contributes to providing excellent service for and with teens. Predetermined current experts and practitioners in the field of young adult librarianship in both school and public libraries will contribute practical examples, anecdotes, and success stories to illustrate how the competencies work at the building level. These contributions will appear in the body of the text (credited to the contributors). 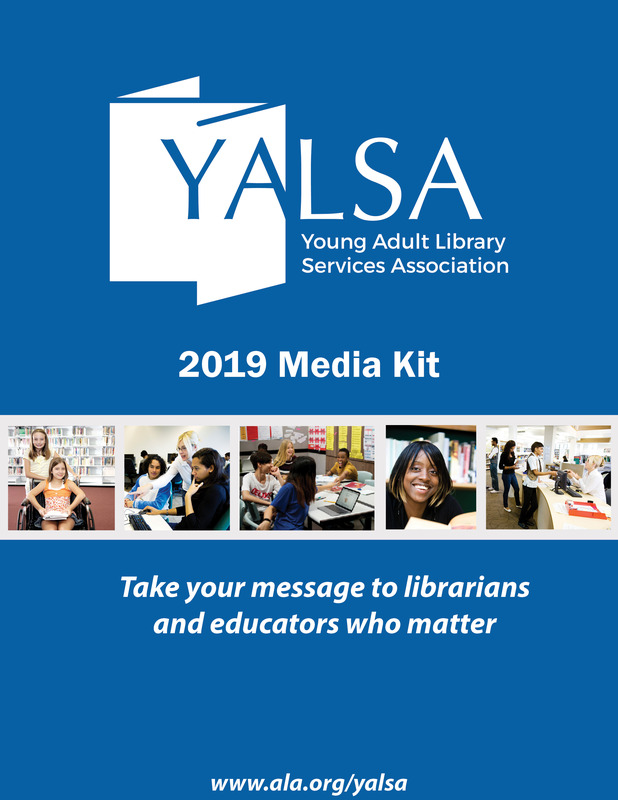 The editor may also have the opportunity to suggest potential contributors/experts if it is determined by both the editor and YALSA that there is a lack of content or expertise for a specific competencies area. View full project details (manuscript length, table of contents, tentative timeline, etc) here. A full list of responsibilities and requirements will be discussed and provided prior to contractual agreements. Candidates must send a cover letter and resume via email to Anna Lam at alam@ala.org by December 1, 2018. 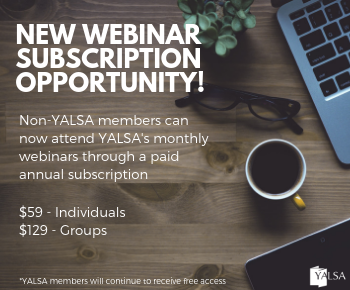 The July webinar (the full video recording is available after the break), facilitated by April Zuniga from the McAllen (TX) Public Library, covered the topic of Youth Engagement and Leadership. In her discussion April discussed how to build relationships with teens so to learn about their needs and interests and help teens feel comfortable engaging with and leading through the library.